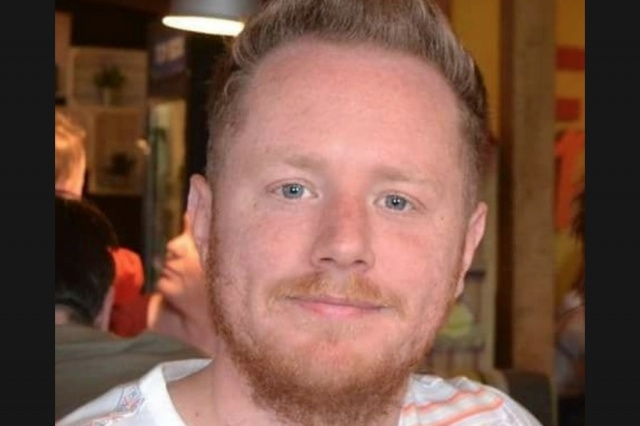 Daniel Jones shares his own personal experiences of coming out and dealing with mental health challenges. I’m about to hit 30, and I’ve struggled with my mental health for most of my 20s. What started off as a panic attack at the age of 20 which saw me visit hospital convinced that I was about to die later became a spate of anxiety attacks, coupled with anxiety and later depression. For anyone who has experienced them, anxiety and panic attacks can be terrifying experiences, with your heart beginning to race, your palms sweating and you being left feeling dizzy, and in extreme circumstances, feeling like you are going to die as I did. It’s estimated that one in three people in the general population in the UK will experience a mental health challenge in any one year. And it is widely accepted that LGBT people have a greater propensity towards mental health challenges, mainly due to fears and worries surrounding the lack of internal and external acceptance of their identity. I use the term ‘challenges’ when referring to mental health, rather than ‘issues’, ‘difficulties’ or ‘problems’ as is commonplace, because I see them more as a setback, and something which can see improvements with the correct treatments to challenge unhelpful thinking patterns and in learning to replace negative behaviour patterns with positive ones. I’ve always been a worrier, and as a young boy I’d hear reports of the world being about to come to an end and I’d be looking to build a bunker to protect myself and raid the local supermarket for emergency supplies. But, my mental health was made worse in my teens when I struggled with my sexuality. I found it hard to accept myself, and because of that, I found it hard to be honest with those around me about who I was. I felt some degree of shame and guilt, and tried to cover it up. The resulting effect on me was that it led to the challenges I’ve mentioned above. As well as a number of other treatments to help me with the impact of the anxiety and panic attacks and the residual effects they left upon me and my body, I discovered running. Getting outside into the fresh air, running off the adrenaline that was being pumped around my body during an anxiety attack, and giving myself a sense of accomplishment with every run that I did really helped me to see noticeable benefits in my mental health. Running also produces a number of feel-good hormones in your body, and letting them take the place of the adrenaline gave me an immediate lift. Not only that but it helped me to stay physically healthy too. And creating a routine of having certain days during the week where I knew I had to go running helped me to stay focused and organised. I eventually decided that I wanted to start using running not only for my own benefit, but for that of others. And so I took part in the Edinburgh Marathon Festival, first in 2014 as part of a Team Relay with colleagues from work, and then in 2015 and 2016 I went out on my own and completed the Half Marathon. Each time, I did so to raise money for the Scottish Association for Mental Health, so that anyone struggling with their mental health can receive support in the same way I did. Running had a number of positive benefits for me. But even if running isn’t your thing, any form of sport or physical activity can do wonders for your mental health. It’s that sense of burning off the stresses of the day, having a goal to work towards, being part a group spirit for team sports, and getting outside into fresh air for sports which bring you outside that all can give you an immediate, and often long-lasting, lift. And even if you haven’t ever taken part in any sports or physical activity before, or you haven’t done it for a long time, it’s never too late. So pick up your running shoes, your football kit or even just take a walk outside. Your mental health will thank you for it. Written by Daniel Jones on 24th July 2017. 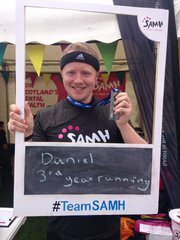 Daniel works as Equality Engagement Officer for Central Scotland Regional Equality Council. He is passionate about improving the lives of LGBT+ people, and of those who have or are experiencing mental health challenges. He also volunteered with LEAP Sports at Pride House during the Glasgow 2014 Commonwealth Games.